Hollywood Heights: The Ups, Downs And In-Betweens When we go to the movies, we want our heroes big and our villains bigger. But Hollywood actors are only slightly taller, on average, than their fans. NPR critic Bob Mondello takes a look at actors' heights: who's commandingly short, or diminutively tall. Nicole Kidman, 5 feet 11 inches, and Tom Cruise, 5 foot 7 and some change, at the Writer's Guild Awards in 1998. 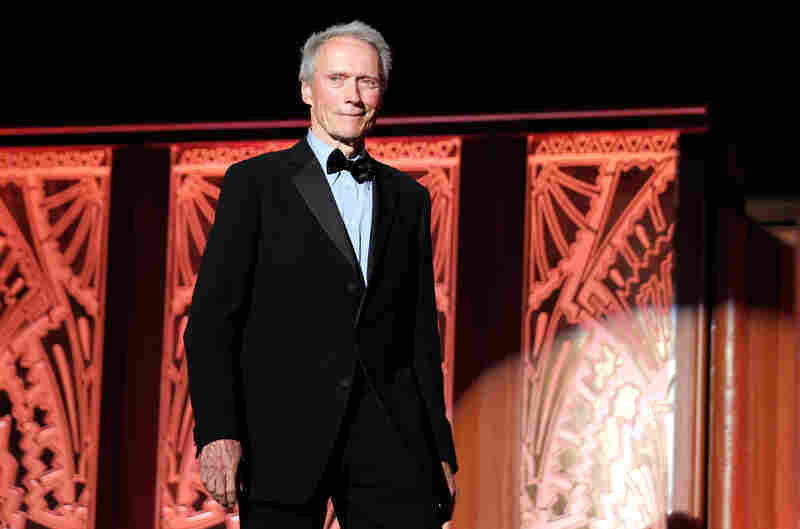 Clint Eastwood, 6 foot 4, speaks onstage at the 39th AFI Life Achievement Award honoring Morgan Freeman on June 9, 2011. Presenter Natalie Portman, 5 feet 3 inches, at the 84th Annual Academy Awards. 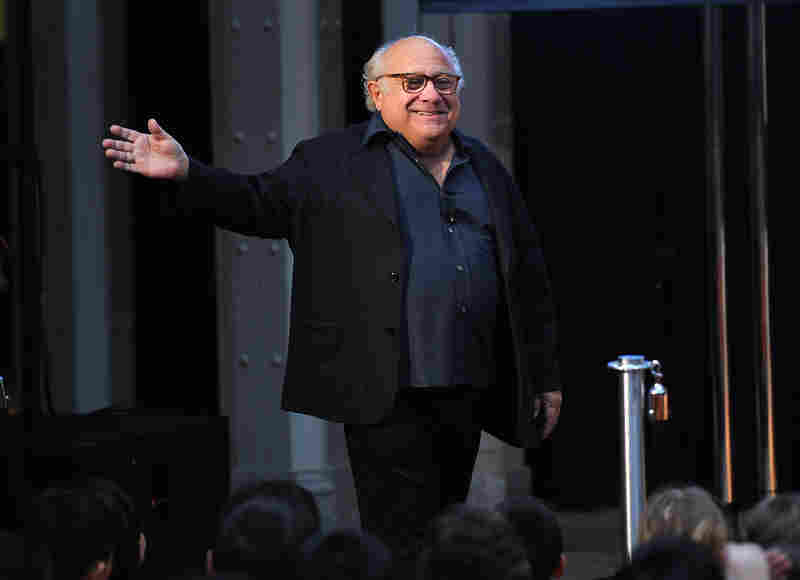 Actor Danny DeVito, 4 foot 10, attends the NEA's Read Across America Day kickoff on March 2. Actress Uma Thurman, 6 feet, poses during a photo session at the 64th Cannes Film Festival on May 22, 2011. Hollywood can make any actor look imposing by shooting from a low angle or building sets with short door frames. But the fact is that we want our heroes big and our villains bigger, and the average male actor is about the same size as the average American male — roughly 5 foot 9 1/2. And some very "big" stars have been a good deal less than that. Yoda's a special case, obviously, but action-movie heroes often loom larger onscreen than they do in person. Sylvester Stallone, Tom Cruise, Mel Gibson and even The Governator have all been cited by journalists as being more diminutive in the flesh than expected — none comes even close to 6 feet. Alan Ladd, who sat plenty tall in the saddle in Shane, was later cast as a romantic partner for Sophia Loren, who's barely 5 foot 8, and their director had to dig a trench for her to walk in when they were arm-in-arm, so she wouldn't tower over him. 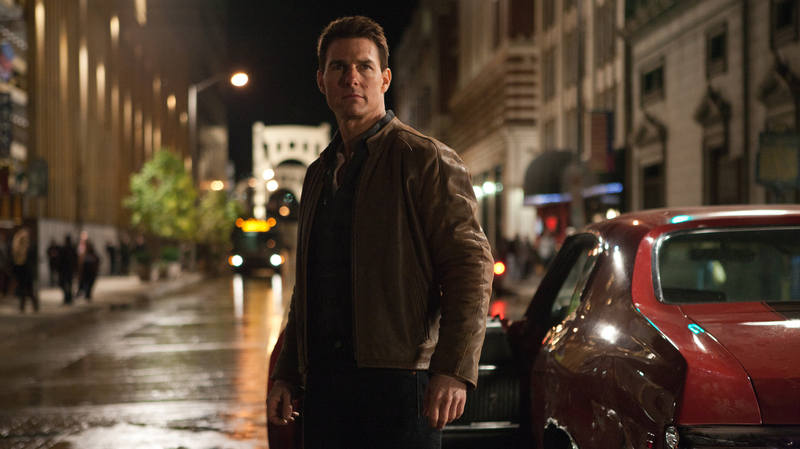 Cruise, who is reportedly 5 foot 7 in person, plays a 6-foot-5 homicide cop in Jack Reacher. In Casablanca, Humphrey Bogart needed an extra cushion in a couch scene to keep audiences from noticing he was shorter than Ingrid Bergman. And in another film, Bogie reportedly set something of a Hollywood record by wearing 5-inch elevator shoes. Some actresses, meanwhile, must try to be short, which is tough when you're a member of the 6-foot club: Sigourney Weaver, Brooke Shields, and Glee's Jane Lynch. Uma Thurman and Nicole Kidman are right up there with them. So who plays 6-footer Julia Child in the movies? Meryl Streep, who is barely 5 foot 6 but is a towering talent. Which gives the lie to this whole notion, really. We associate height with strength, power, dominance ... and of course, height has very little to do with any of those things. What it does have to do with is how we see relationships, and movie heroines are almost invariably expected to look up to their leading men. Women over 5 foot 8 rarely get to wear heels in movies, though some of their leading men do. Cowboy boots give cowpokes an inch or two of a head start on mere mortals, and modified cowboy boots can do a lot more. Kirk Douglas reportedly wore pretty substantial lifts in his boots and was miffed one time when his buddy Burt Lancaster swiped them as a practical joke just before they had a scene together. Lancaster being a good half a head taller, the tech crew improvised and put Douglas on a box. 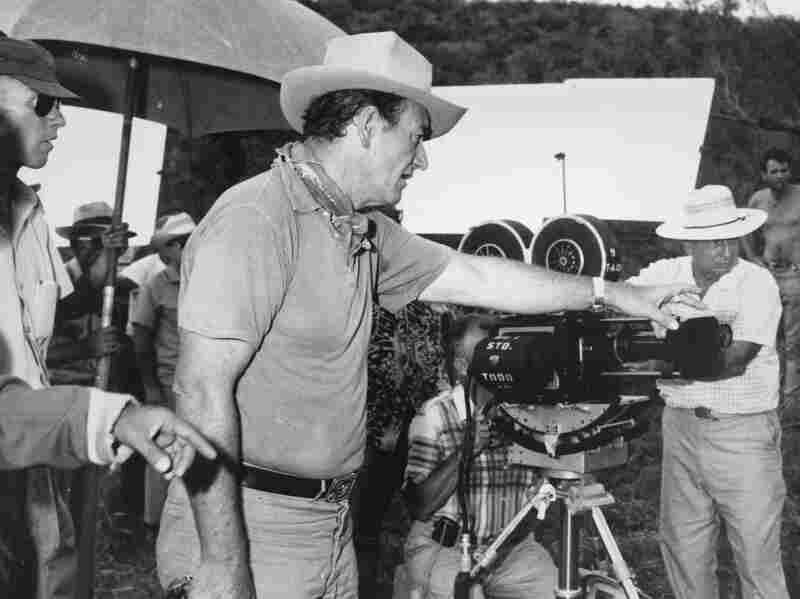 6-foot-4 actor John Wayne directs a scene for the Hollywood movie The Alamo in 1959. Wayne also portrays the reportedly 6-foot-tall Davy Crockett in the movie. Which is nothing compared with what the tech crew had to do with Lord of the Rings: Hobbits are about as diminutive as movie heroes get; they're dwarfed even by dwarves. But fantasy movies play to a different set of rules. They're about wish fulfillment, the triumph of the little guy who never thought he'd be a hero. That's a storyline that resonates in Hollywood, say some, because the entertainment business attracts so many people of slight stature. The theory goes that to avoid being overlooked, shorter people learned early to present themselves, to be forceful and expressive. Folks who grow up taller might not feel the same need to do that. Just a theory, obviously. And happily, casting directors need all shapes and sizes, from 2-foot-8 Verne Troyer in the Austin Powers movies to 7-foot-3 Peter Mayhew in Star Wars. A website called celebheights.com — one of many devoted to the topic, believe it or not — has assembled height records for more than 3,000 performers and reports that the average actor in Hollywood is 5 foot 10, and the average actress is 5 foot 5. And the average Oscar winners, wouldn't you know it, are a little taller: 5 foot 11 and 5 foot 5 1/2. Clearly unfair, as neither their shoes nor their careers need lifts. Celebrity heights, as reported in the press. All of the above should be taken with a grain of salt, because, you know, vanity.